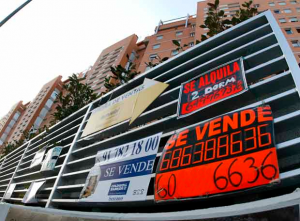 The price of used housing in Spain increased by 2.2% in the first quarter of the year. This brings the average price of a square metre to 1,621 euros, according to the latest idealista price index. When compared to the same period in 2017, the variation is +7.1%. Head of idealista studies, Fernando Encinar, says “data seems to confirm the good status of the Spanish real estate market. More than ten years have passed since the bursting of the bubble, and the increase in the number of purchases, the increase in mortgages granted and the sustained growth in prices speak of a recovery that, although at different speeds, is widespread throughout the country. “There are several factors that, at the moment, do not make us think of a bubble. On the one hand, from the mortgage perspective, the conditions of access to credit have been toughened, the concession of loans at a fixed rate has multiplied and, in addition, the number of mortgages granted is far below the number of purchases. This lack of exposure to risk is one of the main scales when talking about a real estate bubble. 15 communities saw used housing prices rise during the first quarter. The largest increase was seen in the Balearic Islands, where owners are now asking 5.5% more than they were three months ago. Madrid saw prices rise by 5.1%, while in La Rioja the increase was 3.3%. Also showing positive variations were the Canary Islands (3.1%), Catalonia (3.1%), and Andalucía (2%). Communities to see prices fall include Euskadi (-0.4%), and Extremadura (-0.1%). After increases in Q1, Madrid is now the most expensive community, with an average cost of 2,673 euros/m². The Balearic Islands have a similar average with 2,609 euros/m². In Catalonia an average square metre will cost 2,146 euros. The cheapest communities include Castilla La Mancha (913 euros/m²), Extremadura (931 euros/m²) and Murcia (1,023 euros/m²). 43 provinces saw used housing prices rise in Q1. The increases are also led by the Balearic Islands (5.5%), followed by Lleida (5.3%), Madrid (5.1%), Santa Cruz de Tenerife (4.4%) and Barcelona (4.2%). We see price falls in Lugo (-1.1%), Guipúzcoa (-0.9%) and Vizcaya (-0.7%). The ranking of the most expensive used housing by province is still headed by Guipúzcoa, with 2,734 euros/m², followed by Madrid (2,673 euros/m²). Following them are Barcelona (2,650 euros/m²) and the Balearic Islands (2,609 euros/m²). Toledo is the most economical province (793 euros/m²), followed by Ávila (822 euros/m²) and Ciudad Real (856 euros/m²). Madrid leads the increases among Spanish capitals, with an increase of 7.8%. They are followed by Granada, where prices increased by 5.6%. In Logroño prices increased 5.2%. Prices in Malaga increased by 5%, while in Palma prices increased by 4.8%, and 4.5% in Valencia. The biggest fall was in Oviedo (-0.5%). It was followed by the decreases of Badajoz (-0.4%), Córdoba (-0.3%), Bilbao (-0.3%) and Lugo (-0.1%). In the cities of Castellón and Huelva prices did not move. Barcelona is the most expensive Spanish capital (4,334 euros/m²), followed by San Sebastián (4,144 euros/m²), Madrid (3,540 euros/m²) and Bilbao (2,863 euros/m²). At the opposite end of the table we find Ávila, the cheapest capital, with an average price of 954 euros/m².